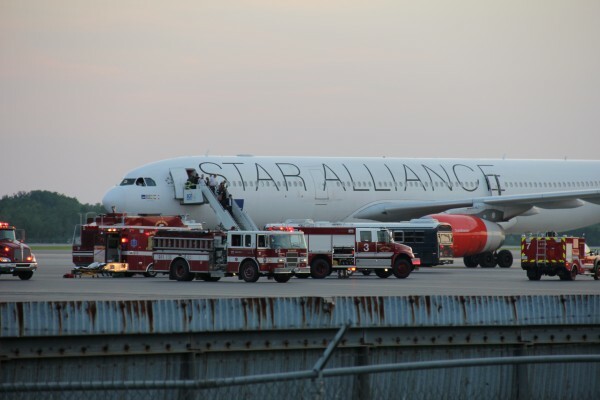 A Scandinavian Airlines Airbus 330 was diverted to Bangor International Airport Wednesday night after its cockpit filled with smoke. 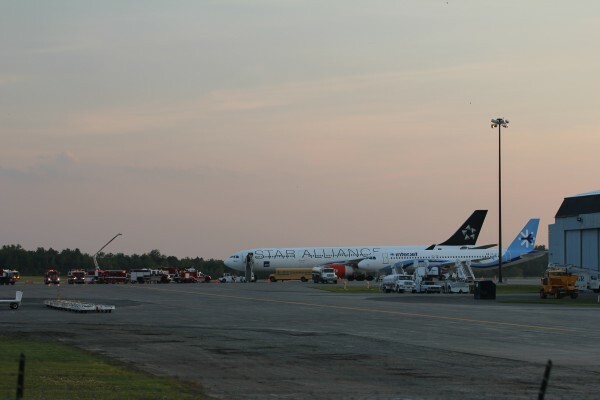 BANGOR, Maine — A Scandinavian Airlines Airbus 330 was diverted to Bangor International Airport Wednesday night after its cockpit filled with smoke. 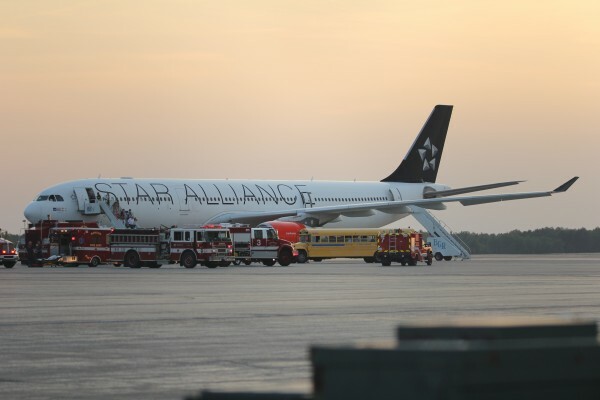 The airplane — which had 230 passengers and 12 crew members on board — landed safely, according to Tony Caruso, BIA’s interim director. Caruso said that the passengers and crew were checked for smoke inhalation but that he had not heard of any injuries. He said it did not appear that anyone was taken to the hospital. The flight, however, was cancelled and BIA officials were working to help find accommodations for the stranded travelers, Caruso said. Caruso said that the aircraft, which landed at BIA shortly before 7:30 p.m., was enroute from Newark, N.J, to Copenhagen, Denmark. Among the agencies that responded were firefighters and emergency medical personnel from the Maine Air National Guard and the Bangor Fire Department.